Roller Banners are a great way to spread your message to as many people as possible. With their sturdy design and entirely customisable print options, roller banners are ideal for any number of situations, the only thing left to do is decide where to put them. Helpfully, Kaizen are here to help with that decision too. So here are five situations in which a roller banner is the perfect fit. Dealership forecourts are often crowded with various forms of advertising and promotional material designed to entice more customers inside, so in order to stand out, it’s important to have something a little bit different. Roller banners can be customised with your own logo, design and/or slogan to help you stand out from the crowd. Whether it’s an offer on financing, a sales promotion or announcing your valet service, a roller banner can help to draw more customers in. If you’re a college, a university or even an employer, it’s important to attract new potential students (or employees) in any way you can. To do this, many of these businesses or universities will host open days. They’re a great way to allow you to meet different people and gain significantly more interest in your promotion. Roller banners are the perfect way to display some of the more frequently asked information in a legible and interesting way. It could be used to show the facilities at your college or university or the fantastic salary packages available at your place of work. Whatever it is, a roller banner is the best way to do it. Retailers listen up! If you have a sale or a promotion on, it’s important to let people know. That means advertising in order to get the word out there. Roller banners are a perfect way to let lots of people know exactly what deals you can offer them. Perhaps you’re a hairdresser offering a new type of treatment in your salon. Maybe you a mechanic offering a new MOT service, the possibilities are endless. With Kaizen’s roller banners, you know you’re getting a great service at good value. Roller banners are commonly seen at museums and art galleries. They can serve as advertisement for the event, or as information points throughout the exhibition, telling customers what they should know about the particular artifact or painting. In fact, with our double sided printing option, your exhibition roller banner can carry as much information as you need. Meaning your customers will know everything they need to about a certain display. So you see, whatever your business, you too can benefit from one of Kaizen’s high quality roller banners. 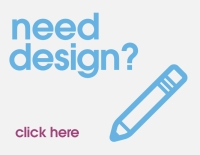 To find out more information, or to get a quote for a design, contact our customer service team on 028 9002 2474 or drop us an email through the contact us page on our website. With years of experience behind us, we know what it takes to make a great marketing product and we can help guide you and your business with all things print and design related.